Despite its vast natural, mineral and agricultural resources, Mindanao remains to be the poorest geographical cluster of the Philippines. Eleven of the twenty poorest provinces are in Mindanao. On top of the list is the Province of Lanao Del Sur. Marawi is the capital and the largest city of the province of Lanao del Sur on the island of Mindanao in the Philippines. It has a population of more than 200K. Iligan City is a highly urbanized city in the Northern Mindanao region, . It is geographically within the province of Lanao del Norte but administered independently from the province. It is one of the 10 largest cities in the Philippines in terms of land area and has a population of more than 300K. Marawi City is approximately 39 kilometers away from Iligan City. Located in different provinces – the cities of Ilgan and Marawi, although belonging to different provinces, apparently different in its peace and order situation, share a lot of things in common. Education, trade commerce, transportation. Although Marawi is predominantly Muslim, Iligan has always been a melting pot of all different religions as a trade and commerce hub. Iligan City has constantly strived to elevate itself as one of the destinations for jobs and investments, especially those created as a result of information and communications technology. While other cities in the Philippines has only connectivity and talent development issues to fix, Iligan has to assure investors of good peace and order. Today, despite all efforts, Iligan, and the whole Lanao Del Norte lag behind in terms availability of jobs. When war broke out last May 2017 between government and rebel forces, the fate of two cities became more intertwined. Evacuees from war-torn Marawi City now total to 9,252 families or 43,159 individuals evacuated from Marawi City, transforming many public facilities in the city into evacuation centers. In the midst of poverty, hunger, the lack of economic opportunities, as well as religious and cultural conflicts, the impoverished youth of Mindanao are prone to “live by the gun”, prone to recruitment by rebel armed groups in exchange for meager subsistence. Low standards of living make the youth of Mindanao vulnerable to various kinds of indoctrination by global and local extremists groups. These extremist groups exploit the lack of food, health care, education and opportunity to make an honest living or availability of decent jobs. Marawi and other Mindanao cities is the perfect setting for inclusive growth and a chance for young Filipinos to feel benefits of the Information Age by making information and communications technology (ICT) a tool for them to lift themselves from their own situation. Social Innovation and Impact Sourcing are two different global concepts – that can be combined to create a concrete solutions to generate jobs in Iligan that can positively affect Marawi. Social Innovation Through Impact Outsourcing (SITIO) is a holistic approach to unemployment in poverty-stricken armed conflict-ridden areas where there is lack of decent jobs and economic opportunities to make an honest living, but leveraging on the growth of new business models evolving around the use of information and communications technology. Social Innovation Through Impact Outourcing (SITIO) combines the concepts of Social Innovation and Impact Sourcing with former as the end and the latter as the means. The overall goal is to create a successful ISSP-PSIC partnership in the poorest provinces of Mindanao, to uplift the socio-economic conditions of these provinces and indirectly resolve poverty and peace and order problem in these areas. The initial stage of the project is to set up a pilot ISSP in Iligan City found in Lanao del Norte which is the 11th poorest province in the Philippines. The concrete output shall be a facility that can hold 100 fully-equipped work stations of approximately 1.5 square meters per work station, an office, dedicated server room, training room and pantry. The process of fit-out shall be completed after three months from the turn-over of the facility. Recruitment and training of the first set of workers shall commence upon the start of the project to end simultaneously with the completion of the facility fit-out. Since the model is highly replicable, the ultimate goal of the project is to disseminate the concept to the rest of Mindanao and other poorest provinces in the Philippines. The participation also aims to secure initial financial investment for the requirements to start the pilot ISSP in Iligan City and also in order to gain project momentum and support. 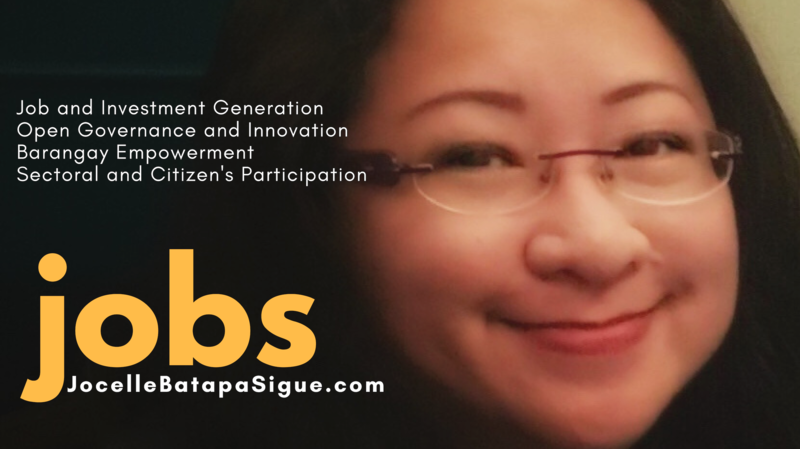 Private and public stakeholders of Iligan City launched yesterday, June 27, the initiative to create more digital jobs and opportunities under a concrete business framework named as SITIO (Social Innovation Through Impact Outsourcing). Heading the launch were acting Iligan mayor Jemar Vera Cruz, city councilors Jesse Ray Balanay and Belinda Lim, lawyer Jocelle Batapa-Sigue, the author of SITIO and the Department of Information and Communications Technology (DICT) Mindanao Cluster 2 head Eva May Dela Rosa. SITIO ILIGAN encourages the city to promote social enterprise that applies business strategies and earning income or profits for external shareholders to bring about concrete social change such as job generation, talent development and innovation. The components of SITIO are infrastructure, consisting of facility, center or building for administration and operations, PC, other equipment, power, utility and connectivity; a dedicated and well-structured social enterprise management board and marketing team, availability of human resource, preferably trained digital online workers or freelancers with an inventory of skills inventory and portfolio and an online platforms system for virtual work. In the case of SITIO Iligan, the website is wrupup.com. To be successful, there must be a strong collaboration among stakeholders and with industry, government support, partnerships with academe and training institutions and commitment of the key implementers. The concrete facility of SITIO is a hybrid facility that combines the characteristics of a homegrown BPO work stations, shared service facility or co-working spaces, talent development or training center and business resource center and innovation hub. SITIO rides on the wave of the constantly growing practice of outsourcing or the hiring a party outside a company to perform services or create goods that are usually performed in-house by the company’s own employees and staff or are non-core aspects of the business. Today, outsourcing, specifically business process outsourcing (BPO), knowledge process outsourcing (KPO), and information technology outsourcing (ITO) have gone beyond just for the purpose of cost arbitrage but also implemented by corporations for efficiency, productivity, or more focus on core tasks, flexibility, as well as opportunity to tap on new skills sets and competencies. The war for talent has been a challenge for all companies today such that the evolution of process outsourcing has become a world-wide phenomenon from simple staff augmentation, to project-based outsourcing, out-tasking or professional contracting to managed services and offshoring. Previous postHOW DO WE EMPOWER CITIES TO BECOME DIGITAL CITIES?